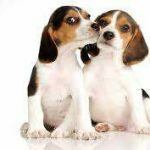 If you love dogs but find you have allergy attacks when they are around, you are not alone. The American College of Allergy, Asthma and Immunology reports that about 10% of the American population is allergic to dogs. Fret not. 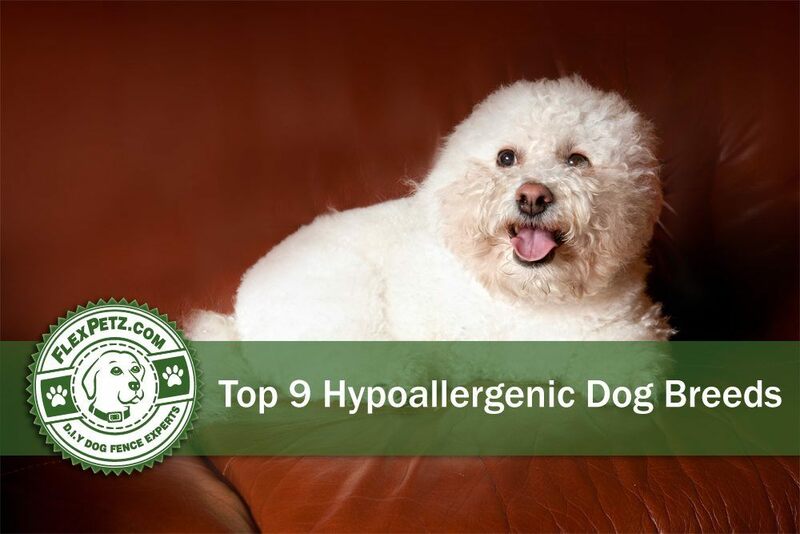 Although no dog is 100% hypoallergenic, there are several breeds of dogs that allergy sufferers will do better with. 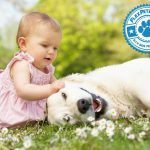 What makes certain dogs more hypoallergenic than others? 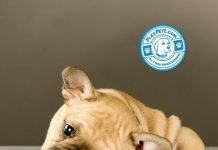 Dogs termed as hypoallergenic have a coat that does not shed and less dander is produced. 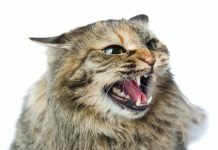 Most pet allergies in humans are caused by dander that is attached to pet hair. 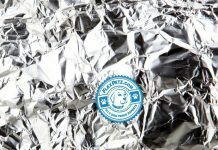 Even when you have a hypoallergenic dog, it is a good idea to wash your dog’s bed often, keep up with his grooming, and avoid letting him sleep on your bed. 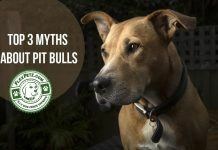 Here are some of the best breeds for those suffering with a dog allergy. 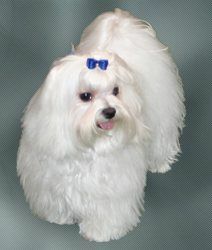 Maltese: These little dogs are known for being brave, full of life and fearlessness. 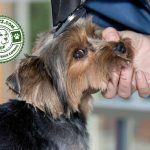 They make good therapy dogs and competitors in dog sports such as agility, obedience, rally and tracking. They love to be with people. They weigh anywhere from 4 to 7 pounds. 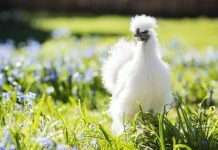 Their long, silky white hair must be brushed daily in order to avoid matting. 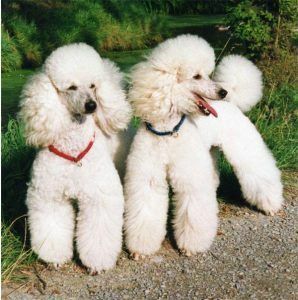 Poodle: There are three sizes of poodles-standard, miniature and toy. 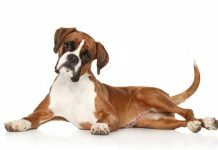 This exceptionally smart breed is very active, needing daily exercise. 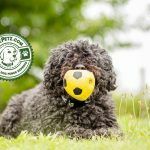 The poodle is quite athletic, blessed with excellent hunting and water retrieving skills. They have a great sense of humor. Their characteristic coat requires regular professional grooming, every 4 to 6 weeks. 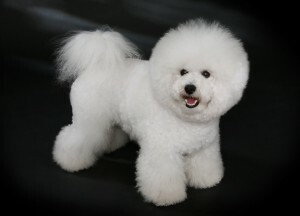 Bichon Frise: This naturally gentle, dog is happy, playful and loves movement. They are cheerful and love mischief. They don’t like to be left alone for long periods of time. These cute, small dogs are thought by some to resemble a child’s toy. They have a fluffy white coat and black eyes. 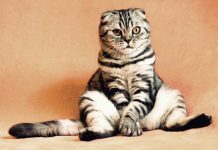 As his hair grows continually, regular grooming is needed to prevent matting. 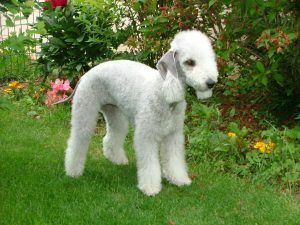 Bedlington Terrier: The calm Bedlington Terrier is full of love. They have a curly, wooly coat and looks like a lamb. 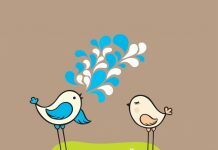 It has a narrow, pear-shaped head. They come in blue, sandy, liver, blue and tan, sandy and tan and liver and tan. 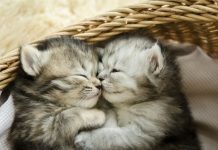 They are playful, cheerful and affectionate. They are very loving with children and friendly with strangers. Regular walks and playtime will keep him happy. 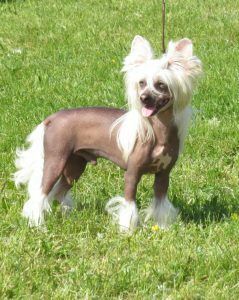 Chinese Crested: There are two varieties of Chinese Crested, the hairless and the powderpuff. 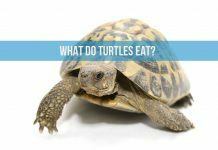 The hairless variety only has hair on his feet, head and tail. The powderfpuff has a long, soft coat. This attentive, playful dog loves human companionship. 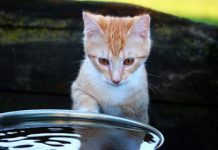 They are affectionate and playful with children. 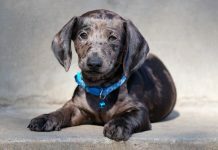 These unique-looking little dogs do well in families that have gentle children. They shed little or no hair. 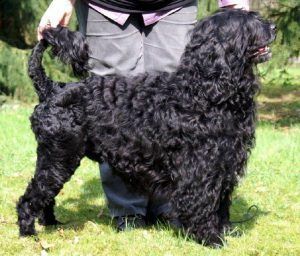 Irish Water Spaniel: The largest of the Spaniels, this solid, smart breed has quite a personality. 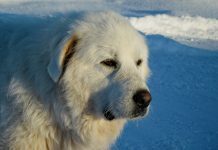 This devoted and spirited breed has a strong desire to please. 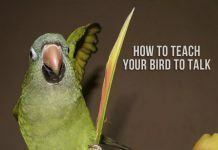 They are quite clever and capable of learning quite a lot. 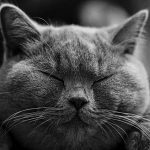 They need daily exercise as they are active and energetic. They have a water-repellant double coat that needs brushing every couple of weeks. 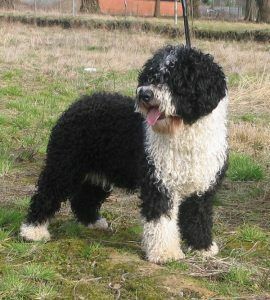 Portuguese Water Dog: This medium-sized, muscular dog is a loyal, lively dog that loves the water. 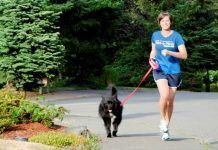 This athletic breed needs rigorous daily exercise, so they would do best with an active family. They are a smart and loyal working dog. They have a waterproof coat that needs to be brushed and combed regularly. 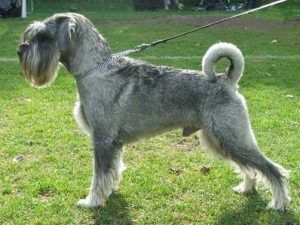 Standard Schnauzer: This medium-sized dog is a sociable, loving breed that loves children. They make a great watchdog and guard dog. They need a lot of companionship. 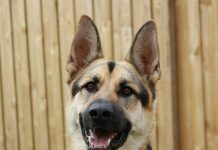 Bright, intelligent and playful, they are athletic dogs that require daily exercise. You need to brush their beard and leg hair often to prevent matting. 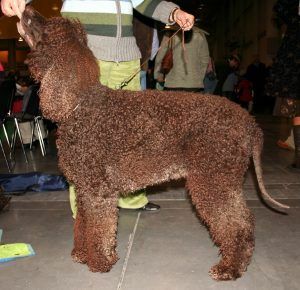 Spanish Water Dog: This energetic, hardworking breed is a natural protector with strong hunting instincts. 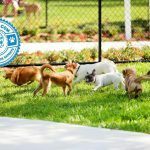 A high energy breed, they do best with an active family. They are extremely intelligent and well-balanced. They don’t need a lot of grooming for their curly, wooly coat. They don’t need brushing but at least once a year they need to be shaved.